One of the interesting issues in modern societies is how certain segments of the population are viewed and treated. 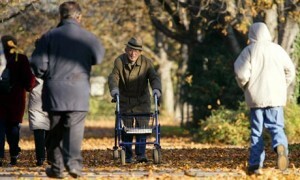 Recently in the news have been reports about retirees in Germany and orphans in Russia. A recent article in the Guardian discusses the issue of Oma (Grandmother) export, namely pensioners leaving Germany to live in other countries due to the high cost of living in Germany and their modest pensions. Examples are given of German senior citizens moving to Hungary, the Czech Republic, Greece, and Thailand. In some cases, the facilities to which the older Germans emigrate have German-speaking staff and offer activities familiar from German culture (singing folk songs), but this is an exception. This is a quite different phenomenon from the long-time practice of well-to-do German retirees moving to Mediterranean beach locations. The current “Oma export” of German citizens living off their pensions has raised concerns in Germany, especially when the people involved have limited faculties and few options. Such a situation would be hard to imagine in countries where it’s understood that families, no matter what, care for their own, such as in many Asian, African or Latin American cultures. Americans tend to have fewer scruples about sending family members off to homes. Russian society, on the other hand, is trying to keep some of their most vulnerable members of society – orphans – from leaving the country, namely to be adopted by Americans. The recent law passed by the Duma and signed by President Putin is meant as retaliation against the Sergei Magnitsky Act passed by Congress, which imposed sanctions on Russian officials involved in the death of an imprisoned lawyer in 2009 who had been a whistle blower on a tax-fraud scheme. But it’s not just politics. Russians have been less than enthusiastic over the idea of foreigners adopting Russian children, despite the low adoption rate in Russia, seeing it as a slap in the face, implying their society can’t take care of their own. Russia is not alone in this, many other countries have expressed concerns or passed restrictive laws on foreign adoptions. It would be interesting to see a study comparing attitudes toward adoption around the world. A recent article in the NY Times discusses the protests by some parents in a California school district where first graders are having 30-minute yoga classes. This would seem to be a beneficial program for small children, doing something positive in the area of physical education, just as art and music classes do, as well as foreign language classes. In the age of strictly controlled and standardized curricula, it’s refreshing to see something creative happening, even if on a small scale. According to the article, the yoga sessions have a noticeably calming effect on the 6- and 7-year olds. So what’s the reason for the protests? Religious indoctrination, specifically the protesters “were concerned that the exercises might nudge their children closer to ancient Hindu beliefs”. This need to protect children from knowledge has had the unfortunate result in American schools of discouraging teaching about world religions, with a by-product being a wide-spread lack of knowledge about Islam (as well as of other non-Christian religions). In the absence of knowledge, stereotypes replace reality. The intersection of religion, physical exercise, and politics has had some interesting case histories. Recently, the Falun Gong spiritual movement in China, combining slow-moving exercises with meditation and a basic moral philosophy, after gaining widespread popularity in the 1990’s, was suppressed by the Chinese government, fearful that such a large movement could threaten state control. In 19th-century Germany, Friedrich “Turnvater” Jahn (Father of Gymnastics Jahn), who had studied theology, wanted to encourage greater physical fitness among the Prussian youth, after seeing the humiliation of Germany’s defeat by Napoleon. What started out as gymnastics (he invented the parallel bars, the balance beam, horizontal bar, and the vaulting horse) turned nationalistic and was seen as a threat by the authorities, leading to his arrest.